Editor’s note: The author was a Kickstarter campaign backer for “Linsanity” during post-production. Some documentaries rely on editorial savvy to string the narrative together, whereas other true incidents are so unbelievable that they practically write themselves. “Linsanity,” which made its Asian premiere at the 2013 Hong Kong International Film Festival, mostly fell under the latter category, but could have used much of the former to retell a larger-than-life turn of events that may not hit professional sports again for quite some time. The title owes to the record-breaking stretch of basketball games in February 2012 that Jeremy Lin, then a little-known Taiwanese American 23-year-old Harvard University graduate, strung together to save his career and ultimately catapult the New York Knicks to the playoffs. As Linsanity took off, few people realized that Lin’s seemingly innate ability to deflect intense media scrutiny – what with all his rediscovered YouTube videos with KevJumba and Nigahiga – actually resulted from being used to the cameras. That was because several Asian Americans, headed by “Linsanity” director Evan Jackson Leong, had the foresight to begin filming Lin four years ago. “Linsanity” begins with Lin in a New York taxicab, recounting the now-famous story of showing up at Madison Square Garden and security turning him away, thinking that he was a trainer, not an actual member of the team. Lin appears in this same cab much later in the movie and in-between time, his story is told with a number of interesting childhood and high school videos, and interviews with his family members, former coaches and even his pastor. Unlike many Asian immigrant parents who pushed their kids into more secure career paths, Lin’s NBA fanatic father supported all three sons’ hoop dreams. But it was Jeremy who experienced the ebbs and flows of success, injury, doubt, Christian faith, rejection and racism throughout the years. Despite his success at Palo Alto High School, no university wanted him for its NCAA Division I roster, so he ended up at Harvard without an athletic scholarship. Despite his success at Harvard, he was not drafted by the NBA. And so on, and so forth. The winding road in “Linsanity,” of course, leads to a prolonged focus on Lin’s season with the Knicks, which nearly came to an end before his Feb. 4, 2012 breakout game against the New Jersey Nets. It is here that viewers who followed Lin’s story in real time get to relive those moments, and for those unfamiliar with Linsanity to try and learn why Lin’s story spoke to so many people. With that in mind, “Linsanity” somehow underplays the spirit of Lin’s story that gripped not just New York City, but the rest of the world. As a former New Yorker who spent way too much money on the secondary sports ticket market to obtain 100-level seats at Lin’s games, the euphoria that swept the city once his star power skyrocketed was incredible. 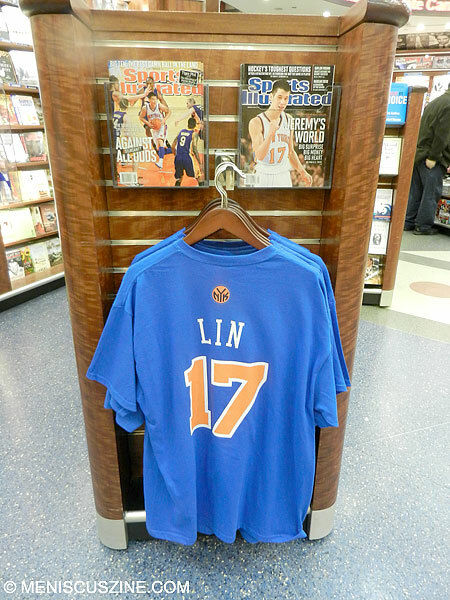 Fans who were not Asian American swarmed kiosks and sporting goods stores in search of Lin No. 17 Knicks jerseys that had not hit the shelves yet. People who had never followed sports before suddenly knew all of Lin’s stats. 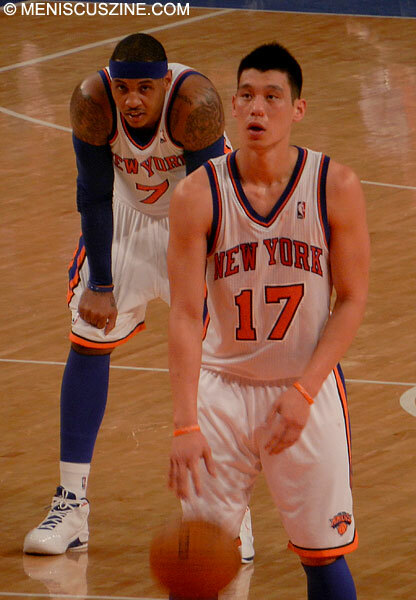 Chinese Americans, including this author on multiple occasions, were now considered to be basketball pundits, approached for advice on how Mike D’Antoni – then the Knicks’ coach – should handle the return of an injured Carmelo Anthony with Lin suddenly figuring into the starting lineup. The phenomenon swept into Asia, where magazines in Hong Kong attempted to translate all sorts of Lin puns (“Super Lintendo!”) into Chinese, and bellhops at Taipei hotels gaped when they saw “official” Jeremy Lin t-shirts worn by tourists. To amplify this universally-admired story of perseverance transcending the Asian American experience and sports, “Linsanity” could have used more original footage collated from over the years (assuming that it exists) rather than rely heavily on the game highlights that can be easily found online. Also somewhat wasted is an occasional narration by the actor Daniel Dae Kim – dramatically effective, but likely better served if either used more frequently across the entire story, or not at all. Finally, while Lin’s leadership throughout the Knicks’ win streak is fairly well documented, the rest of the film somehow loses its way, with the stereotypical media coverage that ensued and Lin’s move to the Houston Rockets tossed in as afterthoughts. To be fair, this is a story that doesn’t have an end yet, harkening back to Lin’s own quote in the film: “I still have to pinch myself to really believe it.” However, one wonders how the late Adam Yauch (of the Beastie Boys), who shot the brilliant “Gunnin’ for That #1 Spot” basketball documentary, would have handled Lin’s story. Yauch’s film folded the lives of high school players into the lucrative juggernaut that is the professional sports business, turning relative unknowns into physical superstars on the big screen. With Lin’s own profile having already risen, a similar treatment would make “Linsanity” resonate even more. “Linsanity” screens at the Hong Kong International Film Festival on Mar. 30 at 6 p.m. HKT.